Being a fan of Italian culture (food, wine, fashion, language, you name it! 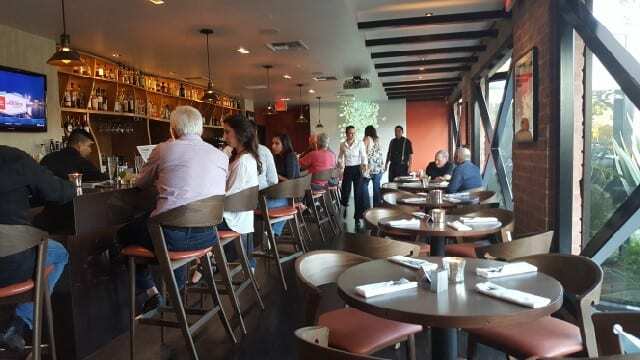 ), I remember when I first went to Bar Toscana in Brentwood in West Los Angeles in 2010. Located next door to the long-standing restaurant Toscana, Bar Toscana reminded me of a bar I would go to in Milan, Italy. It was modern, minimalist and had a super cool feeling with white leather ottomans, digital images displayed in between the glass windows, a menu composed of small plates, or stuzzichini, and a selection of hand-crafted Italian-centric cocktails. Seven years later, Bar Toscana is still open but after a remodel, they have a new look and that is why Bar Toscana is the Please The Palate pick of the week. There is no sign outside. 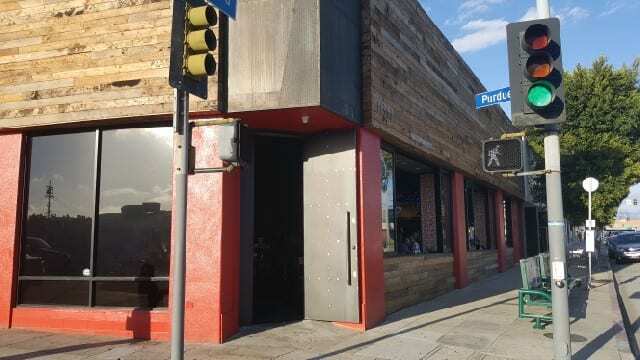 But the deep red panels interspersed with wood panels and large glass windows that are open on a warm day, sitting on the north corner of Santa Monica Blvd, just west of the 405 freeway, will catch your eye. 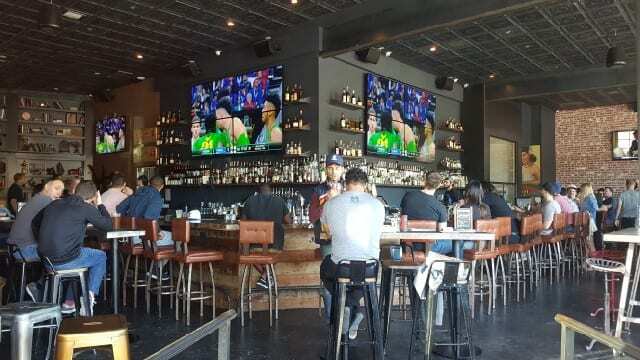 This is The Nickel Mine, West Los Angeles’s newest sports bar. The long v-shaped bar is surrounded by large flat screen televisions playing a variety of live sports games. But, The Nickel Mine is more than a sports bar. It is a cocktail bar, a whiskey bar, a gastropub and a fun neighborhood spot to hang out with friends. In time for their 25th anniversary, The Abbey completed the biggest menu update in its history. 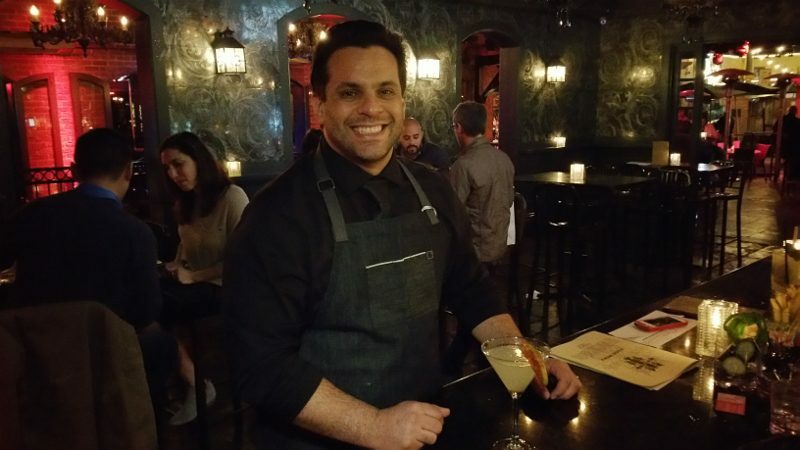 Known for its flavored cocktails, they brought in mixologist Armando Conway (Pour Vous, La Descarga, Harvard and Stone, Hakkasan) to redo the menu.